Demand charges, storage, co-ops, deregulation and more! It's been another year on the solar coaster, and Vote Solar has been following every twist and turn. Here’s our view of the 10 top solar trends of 2016. It’s not news that utilities around the country have been trying to change tariff structures in ways that undercut the economics of rooftop solar. What you might not know is that they are largely losing in this effort -- especially when solar and consumer advocates fight back. In Arizona, every utility filed general rate cases requesting mandatory demand charges for residential ratepayers. The judge in the first case, brought by UNS Electric, was persuaded by our testimony that mandatory demand charges are unjustified and bad public policy. We expect similar outcomes for Arizona Public Service and Tucson Electric Power, which will go a long way toward saving one of the country’s most important solar markets. The battle is far from over, and demand charges have had severe consequences for both solar progress and consumers in places where they’ve succeeded. In Kentucky, the state attorney general called Glasgow Electric Plant Board’s demand charges “harmful,” with the potential of forcing seniors to leave their homes and taking a toll on small businesses. Last year, the solar industry suffered its biggest loss ever when the Nevada Public Utilities Commission axed the state’s net metering program, leaving 32,000 solar owners underwater on their investments and triggering widespread layoffs in the state’s rooftop solar industry. Since then, we’ve made steady progress getting the Silver State’s solar back on track. After months of rallies, organizing and outraged headlines, the PUC agreed to a settlement reversing their decision and grandfathering existing solar owners onto net metering rates. 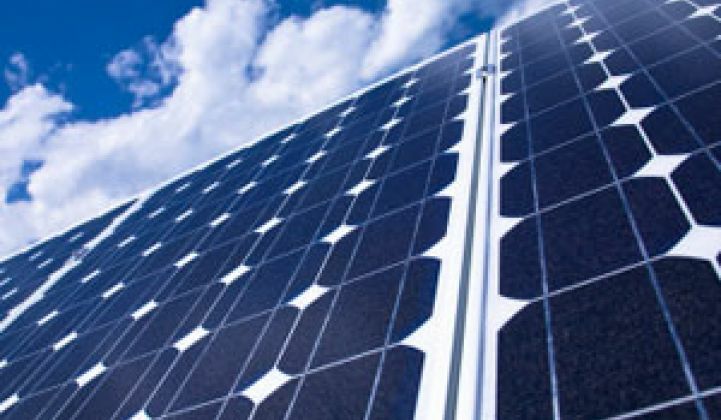 The next step is the 2017 legislative session, where the legislature has flipped and clean energy advocates are in leadership positions, the governor has agreed to sponsor legislation restoring net metering, and advocates will be pursuing community solar programs and a large increase to the state’s renewable energy standard. Similar to solar’s arc over the past decade, storage is moving from pilot programs to the business-model stage. Utilities in California are now procuring storage as part of meeting local capacity requirements. Massachusetts has stepped up in a big way, first with a report showing that the top 10 percent of hours made up 40 percent of electricity costs (which translates into a huge opportunity for ratepayer savings), then with a new 600-megawatt storage mandate. And FERC is getting in on the action too, with a recent proposal to guide how storage can participate in wholesale markets. While EVs are helping bring down the cost of lithium-ion batteries, there’s a lot of interest in other storage technologies, especially as policies drill down on the question of what problems storage is meant to solve. Effective policy creates a transactive space connecting customer and utility problems with clean and effective solutions, and while that effort is still nascent, the potential is huge and it is happening now. Rural co-ops cover about 70 percent of America’s geography and serve 12 percent of ratepayers. That’s why it was such a big deal when a June ruling from the Federal Energy Regulatory Commission opened the door for member-owned co-operatives to buy local renewables instead of being forced to buy fossil power -- according to the Rocky Mountain Institute, a potential 400-gigawatt market. Investor-owned utilities are driven by profit prerogatives, while co-ops answer to member-owners, which is one reason we’ve seen leadership with community solar, from Wisconsin to Texas. For bonus creativity and consumer-friendly points, check out Minnesota's Steele-Waseca co-op, which gives customers an 85 percent discount on solar if they participate in the co-op's hot-water-heating demand management program. The Sunshine State has been a chronic underperformer when it comes to solar. But that may be about to change. One of the longstanding roadblocks in the state has been the fact that third-party PPAs, one of the most popular financing mechanisms, are banned. But there are other ways of financing solar, and they are coming to Florida. Rooftop heavyweights SolarCity and Vivint have both entered the state with loan products. And property-assessed clean energy (PACE) financing providers are launching programs -- Renew Financial is open statewide, and Renovate America is in Leon County now, with availability in the whole state coming soon. PACE financing programs have taken time to deliver on their promise, but in the past few years, they have funded ~$2 billion in residential clean energy upgrades in California. Florida is experiencing a sea change in finance options, making it easier for customers to invest in solar and energy efficiency. There are some very interesting political developments, too. In August, voters passed a ballot initiative, by a 73 percent margin, in favor of property tax abatement for solar. It now goes to the legislature for implementation, and when it is in effect, it will mean about a 20 percent reduction in solar costs. And in November, voters defeated a deceptive anti-solar ballot initiative that utilities had spent $25 million promoting. It’s hard to overstate the impact of that victory -- in a major expose, utility front groups were caught on tape bragging about fooling voters, and in the run-up to the vote, nearly every newspaper in the state editorialized against the utilities' shady practices. In a state where utilities are used to having their way, solar has established itself as a real political issue. Did you know that solar helped determine the outcome of Nevada’s Senate race? Polling shows that Nevada voters found that Joe Heck’s anti-solar views were a reason to vote against him. In two ballot initiatives in Florida, despite being massively outspent, solar came out the big winner. Supermajorities of Americans want to see more solar, and as state battles heat up, smart politicians are figuring out that solar is a winning issue. Google. Facebook. Amazon. What do these companies have in common? They are some of the most admired and profitable companies in the world, they are massive energy users, and they all have commitments to 100 percent renewable energy. Increasingly, these companies are subverting the utility mix to access power from off-site solar farms via green tariffs. Amazon recently signed a 120-megawatt deal in Virginia. Facebook’s new data center in New Mexico will be served by three new solar farms. Google announced it will hit 100 percent in 2017. This trend has major consequences for the industry, in terms of new sources of demand, and for regulatory structures, which are increasingly being reconfigured to accommodate energy choice. After all, what’s good for the Google is good for the gander -- why shouldn’t everyone be able to access 100 percent renewables? There was a time when the proponents of deregulation included companies with a lot of fully amortized coal and nuclear assets, and renewable supporters preferred regulated markets where long-term public benefits could be considered by policymakers. This year, in a turnabout, we’ve seen coal and nuclear interests in previously competitive markets demand bailouts -- and a return to regulated markets. The FirstEnergy CEO said: “We will exit competitive generation and become fully regulated." Meanwhile, wind is thriving in deregulated Texas. ERCOT expects as much of 27 gigawatts of solar over the next 15 years, and retail electricity suppliers who really understand (and are exposed to) volatility are voluntarily offering full retail net metering. In Nevada, casinos paid $127 million to divorce their utility and buy power competitively for the express purpose of accessing more renewables, and now other casinos and data centers are following suit. In November, Nevada voters overwhelmingly approved a ballot initiative to break up the monopoly utility (notably, the one that led the charge to shut down the rooftop solar industry in the state) in favor of retail choice. The times, they are a-changin'. There’s an emerging trend among utilities across the country to try to undermine a decades-old law called the Public Utility Regulatory Policies Act, or PURPA -- a law that has paved the way for policies that have brought renewable energy into the mainstream in the U.S. PURPA was created to encourage states to reduce dependence on fossil fuels by requiring that utilities purchase renewable energy generation and efficient co-generation when those are equal to or cheaper than the cost of building a new power plant. As solar and wind have become increasingly cost-competitive with conventional fuels, PURPA is more relevant than ever. To date, PURPA has driven a whopping 16 gigawatts of new power capacity from qualified renewable and co-generation projects. Now that the law is working as intended, we’re seeing a lot of efforts to undermine it at the state level, such as reducing contracts to unfinanceable terms, suspending tariffs and denying contracts, and creating unnecessary interconnection hurdles. We’re gearing up to fight for PURPA’s principle, and the promising market it provides. In a nation that’s growing more and more divided, the issue of expanding solar might well have the most overlap of support between Clinton and Trump supporters, polling at 91 percent and 84 percent, respectively. While Trump’s cabinet picks clearly don’t share the same outlook, this popular support does matter in the venues where most electricity policy is set: the states. If solar survives the upcoming comprehensive tax reform with the deal Congress struck last year to gradually reduce the ITC still intact, then the industry will be in good shape, with overwhelming popular support and very favorable economics and job-creating possibilities. But the industry will have to duke it out in statehouses and public utility commissions around the country. Trump’s election, then, means that state-level policies become even more important in 2017 and beyond. The apocryphal Chinese curse "May you live in interesting times" seems particularly apt for the solar industry as we head into 2017. But really, is there anything else you’d rather be doing than this? We’re at the epicenter of radical changes in one of the biggest and most important industries on the globe, and there’s no other place we’d rather be.